Originally published in Japan, this charming collection of bags, pouches, and accessories is designed for quilters who love to create handmade gifts. 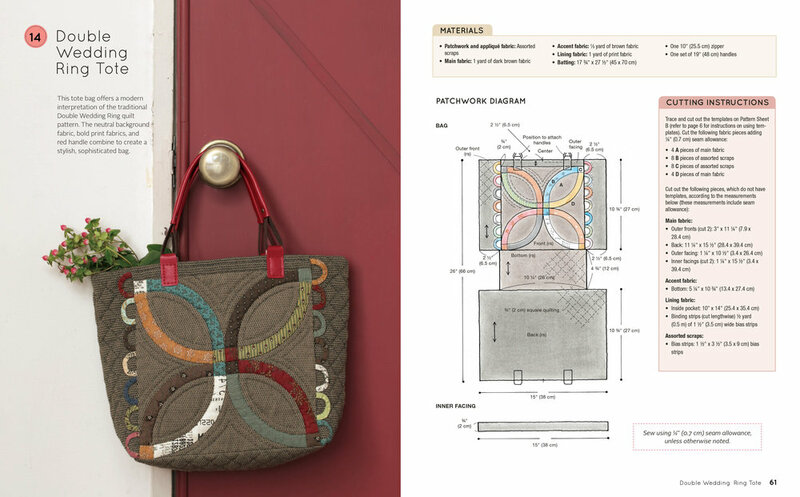 With an astounding 36 projects included, designs range from totes, shoulder bags, and coin purses to sewing kits, tablet cases, baskets, and even a quilt! Full-sized paper patterns are enclosed for each project. Discover master quilter Akemi Shibata’s unique style, which combines traditional Japanese taupe fabrics with colorful prints. Use both patchwork and appliqué techniques to create beautifully constructed projects that you’ll cherish forever.